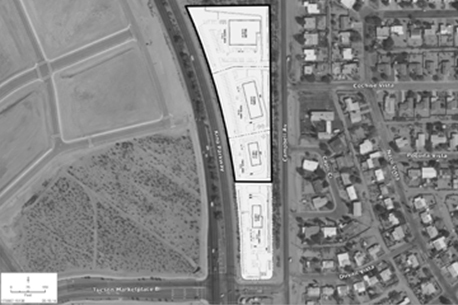 Fullerton acquired this unimproved parcel of vacant commercial land located on Kino Parkway in central Tucson. The Property is situated on a major commercial artery across from the entrance into a regional power center anchored by Costco and Walmart. The Property configuration provides excellent depth and expansive frontage for numerous pad users seeking to capitalize on traffic flow along Kino Parkway. Fullerton teamed with Retail West Properties to provide development expertise including zoning, permitting, and construction management. The Property is now fully improved with all infrastructure site improvements including grading, off-site roadway improvements, sidewalks, and utilities now complete. A recent pad sale to Culver’s provided funding for all site work. Additional retail pad sites are now available for immediate delivery. Fullerton acquired this vacant land parcel adjacent to a newly constructed McDonald’s at the entrance to a Walmart/Costco anchored regional power center in central Tucson. The multi-pad land portfolio acquisition allowed Fullerton to capitalize on unrealized shop tenant leasing demand at Tucson’s largest Walmart location. 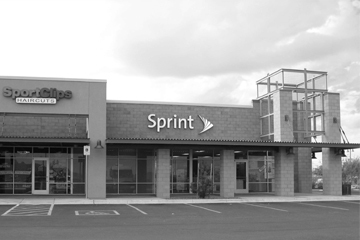 National tenants include Sprint and Sport Clips. Fullerton teamed with Retail West Properties to provide development expertise including design, site preparation, permitting, and construction management. Leasing efforts for the remaining space are headed by Land Advisors organization, who have procured and negotiated all leases at the shopping center. The Property will continue to benefit from future maturation of the shopping center as additional tenants seek this destination retail location. Fullerton acquired this vacant land parcel along the entrance drive to a newly constructed Walmart/Costco anchored regional power center in central Tucson. The multi-pad land portfolio acquisition allowed Fullerton to capitalize on unrealized shop tenant leasing demand at Tucson’s largest Walmart location. Fullerton acquired this vacant land parcel along the entrance drive to a newly constructed Walmart/Costco anchored regional power center in central Tucson. The multi-pad land portfolio acquisition allowed Fullerton to capitalize on unrealized shop tenant leasing demand at Tucson’s largest Costco location. 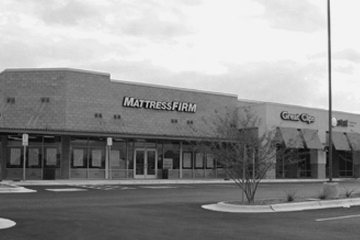 National tenants include Mattress Firm and Great Clips. The Property will continue to benefit from the continued success of Costco as additional tenants seek to capitalize on one of Tucson’s largest retail destinations. Fullerton acquired this vacant land parcel at the entrance drive to a newly constructed Walmart/Costco anchored regional power center in central Tucson. 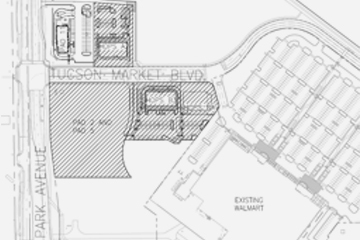 The pad development opportunity will allow Fullerton to capitalize on shop tenant leasing demand adjacent to Tucson’s largest Costco location. National tenants include Starbucks and Verizon. Fullerton will team with Retail West Properties to provide development expertise including design, site preparation, permitting, and construction management. Leasing efforts for the remaining space are headed by Land Advisors Organization who have procured and negotiated all leases at the shopping center. Fullerton acquired this fully entitled improved land parcel located along Park Avenue at the entrance drive to a newly constructed Walmart/Costco anchored regional power center in central Tucson. The multi-pad land portfolio acquisition allows Fullerton to control the highly strategic retail development opportunities on the doorstep of Tucson’s largest Walmart location. Fullerton utilized its extensive knowledge of the Tucson retail market to underwrite and complete this opportunistic purchase from a developer desiring a timely transaction. 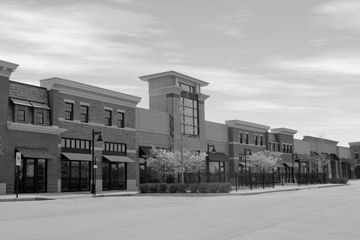 Land Advisors has been retained for leasing/sale brokerage with Retail West Properties to provide development expertise. The Property will continue to benefit from the continued success of both Walmart and Costco as additional tenants seek to capitalize on one of Tucson’s most successful retail destinations. Fullerton acquired this four building professional office complex below replacement cost from a highly motivated seller. The Property’s location, physical condition and configuration are highly competitive and it was only hindered by prior unrealistic ownership expectations. Despite trade area vacancy of 17% the Property was suffering from 74% vacancy at acquisition. With adjacent properties performing in excess of 90% occupancy Fullerton has the opportunity to immediately improve operating performance through aggressive lease negotiations. Red Commercial Group and Sperry Van Ness have been contracted to provide best in class professional property management and leasing expertise. Leasing efforts will focus on increasing occupancy by attracting existing professionals currently established within the market through reduced rental rates made possible by the favorable acquisition basis. A capital improvement program will address minor deferred maintenance items including landscaping, lighting, signage and interior buildout. Through its physical attributes and positioning within a strong trade area the Property will benefit from attentive ownership and professional leasing to improve occupancy and NOI. This well-positioned neighborhood center was acquired significantly below replacement cost. Fullerton’s risk underwriting focused on the innate characteristics of the Property, which provides its competitive advantage: location, configuration, trade area competition, and market fundamentals. While the anchor tenant lease term presents some uncertainty, the below-market lease rates allow Fullerton the opportunity to retain or replace the tenant with minimal disruption to the economic fundamentals. Red Commercial Group and Sperry Van Ness have been contracted to provide best-in-class professional property management and leasing expertise. A significant capital improvement program will address deferred maintenance items (parking lot, lighting, mechanical and roof repairs) while fascia remodeling will improve leasing and tenant retention efforts. Fullerton achieved all return objectives during its 3.5 year investment period through a proactive capital improvement program and aggressive leasing efforts. An extensive fascia remodel repositioned the Property within the trade area and allowed Fullerton to stabilize the Property by dramatically increasing occupancy and resulting NOI. 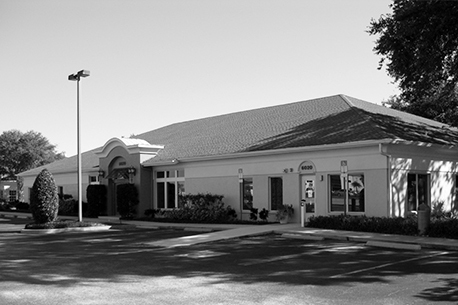 Tony Veldkamp of Sperry Van Ness assisted in securing a buyer at a highly favorable cap rate. Together with the Kyle, TX property, Fullerton acquired this highly strategic land assembly from a motivated lender seeking a timely disposition of a distressed asset. Fullerton’s ability to quickly underwrite the asset and provide certainty of close allowed it to acquire one of the last remaining vacant land parcels in the highly desirable Naples market well below market value. Fullerton hired Hagan Engineering to initiate and oversee a complex matrix of residential entitlement and permit approvals from multiple levels of governmental agencies. Coordination of these approvals required a sophisticated level of expertise and cooperative effort with numerous stakeholders and consultants. 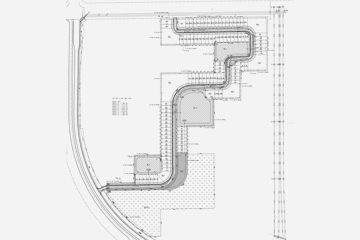 Final site plan design was the collaborative effort between Fullerton and a regional home builder, which resulted in maximum development value for all parties. 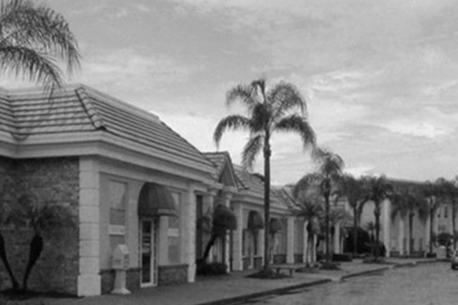 Through the cooperative entitlement and sales process with the buyer, Fullerton was able to create significant value and finalize sale of the Property. The IRR is a combined result with the disposition of the Kyle property. Fullerton teamed with Retail West Properties to perform land acquisition, entitlement, permitting and construction on this 13,333 sf single tenant urgent care facility operated by St. Alphonsus Health System. The state-of-the-art facility offers primary care, urgent care, physical therapy and various specialty services. Retail West Properties worked closely with the tenant by providing concept, use and design consulting services in creating this prototype. Fullerton’s financial leadership has allowed the partnership between Retail West and St. Alphonsus to flourish resulting in two additional developments. The credit strength of St. Alphonsus combined with the advanced, multi-disciplined medical use and long-term lease achieved a sub-6% cap rate resulting in higher than anticipated Fullerton equity returns. 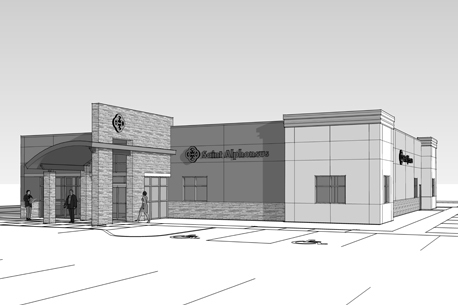 Fullerton acquired a 2.5 acre land parcel in suburban Boise, ID for the development of a single tenant medical care building for Saint Alphonsus Health System. The state-of-the art facility is situated on 1.1 acres and offers primary care, urgent care, physical therapy and various specialty services. The surplus 1.4 acres is retained for future development. Fullerton teamed with Retail West Properties to perform land acquisition, entitlement, permitting, and construction. Retail West Properties worked closely with the tenant by providing concept, use and design consulting services in creating this prototype. Fullerton’s financial leadership allowed the partnership between Retail West and St. Alphonsus to flourish resulting in additional developments. 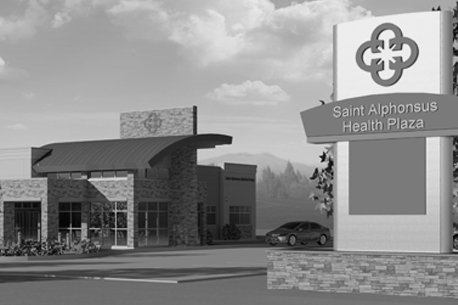 Fullerton acquired this 2.7 acre land parcel in downtown Star, ID (suburban Boise) for the development of a single tenant medical care building for Saint Alphonsus Health System. 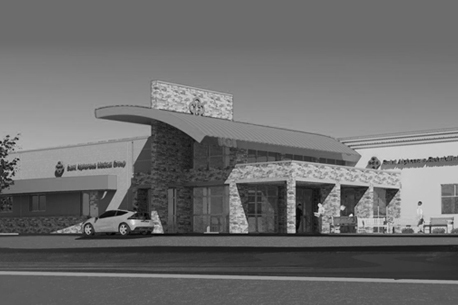 The state-of-the-art facility with 2,350 sf of expansion area will be situated on 1 acre and will offer primary care, urgent care, pediatric care and various specialty services. The surplus 1.7 acres will be retained for future development. Fullerton teamed with Retail West Properties to perform land acquisition, entitlement, permitting and construction. Retail West Properties worked closely with the tenant by providing concept, use and design consulting services in creating this prototype. As the third design-build project development between Saint Alphonsus and Retail West, Fullerton’s financial leadership will continue to allow this partnership to flourish with future developments. The credit strength of St. Alphonsus combined with the advanced, multi-disciplined medical use and long-term lease achieved a sub-6% cap rate resulting in higher than anticipated Fullerton equity returns – which will be further enhanced through the future development of residual land. This luxury neighborhood center was acquired significantly below replacement cost. Although well maintained, the Property suffered from unrealistic leasing expectations. The favorable acquisition basis will allow Fullerton to reintroduce the center to the marketplace. The Property’s location directly across from the dominant regional mall provides identity and traffic flow highly desired by destination retailers and professional users. NAI Hiffman and Sperry Van Ness have been contracted to provide best in class professional property management and leasing expertise. Leasing efforts will focus on establishing a tenant mix complementary to the higher-end positioning and quality of the center. 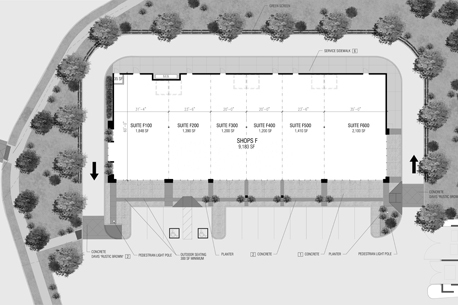 Expanding the parking area and improving the tenancy will provide long-term value enhancement. Through an aggressive leasing program, the Property will capitalize on its location within the regional retail node to become a premier destination for retail and professional users seeking more affluent clientele. The location, construction quality and curb appeal will ensure tenant retention and sustainable economic fundamentals. Fullerton acquired this two-story medical office building through the Ten-X online auction process. The Property is well-positioned within a short walk from Valley Hospital, University Medical Center Hospital and the UNLV School of Medicine. Additionally, the Property will benefit directly from over 24,000 jobs expected to be created within the Las Vegas Medical District prior to 2030. Fullerton anticipates creating immediate value through an aggressive leasing program capitalizing on its highly favorable acquisition basis. Colliers International has been contracted to provide best in class professional property management and leasing expertise. A capital improvement program will address minor deferred maintenance and capital improvement items including signage, lighting, landscaping and lobby decor. Leasing efforts will capitalize on the improved property appearance within a growing medical trade area. 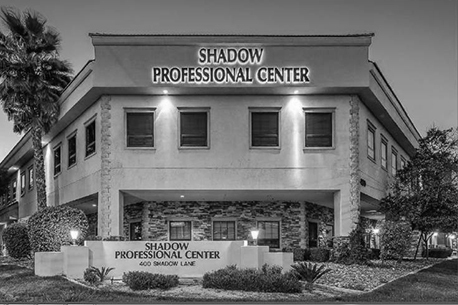 Due to its location within the Las Vegas Medical District the Property expects to realize immediate benefits from improved ownership. The capital improvement program combined with aggressive leasing will result in significant increases in occupancy and NOI. Fullerton moved quickly to capitalize on this vacant office building strategically located within the Dallas Metroplex. Despite being restricted from conducting a comprehensive due diligence due to the sale process through TEN-X online auction, Fullerton recognized the potential value in the building’s outstanding condition, configuration and location. The building’s location at the entrance to the thriving DFW airport, the strength of the overall DFW trade area and growth of the Irving/Las Colinas submarket position Fullerton to create immediate value through lease-up and sale. Transwestern and Paladin Partners have been retained to provide Fullerton with best in class professional management and leasing expertise, respectively. Fullerton will implement a capital improvement program to update the building’s appearance and improve its competitive positioning. 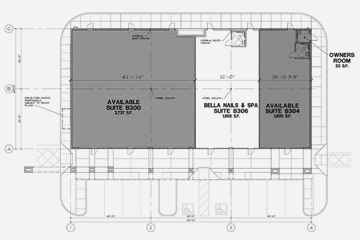 The building provides a unique opportunity for an owner-user to locate within the DFW Metroplex at an affordable price point while benefitting from outstanding location, visibility and access. Fullerton’s ability to respond quickly to this unique acquisition opportunity as well as its willingness to commit additional capital improvement funding will position Fullerton to realize superior returns within a short investment period. Together with the Livingston Road property in Bonita Springs, FL, Fullerton acquired this well-positioned vacant land parcel from a motivated lender seeking a timely disposition of a distressed asset. Fullerton’s ability to quickly underwrite the asset and provide certainty of close allowed it to acquire one of the last remaining highway exit parcels along the strategic I-35 corridor south of Austin, TX well below market value. 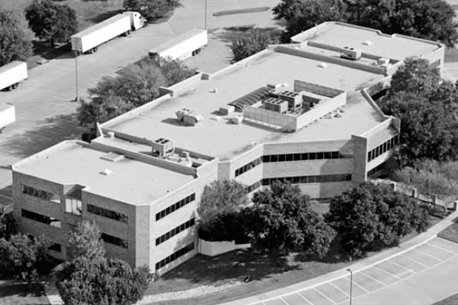 Through its extensive professional network and prior investment history in the Austin MSA, Fullerton was able to quickly assess the opportunity and close on the acquisition within two weeks. Fullerton performed a complete underwriting including market valuation, legal and zoning due diligence, and environmental review immediately upon receipt. Site Solutions Inc. of Austin identified a qualified buyer who closed on Fullerton’s sale of the Property within 20 days of acquisition, thereby realizing a significant profit and allowing Fullerton to recapture the majority of the equity required for the two property acquisition. 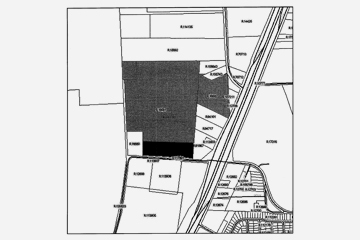 The IRR is a combined result with the disposition of the Bonita Springs property. 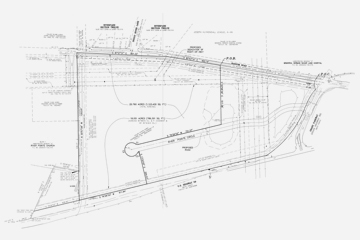 Refinancing of a maturing first mortgage on a 48 acre vacant land parcel at the intersection of two primary highways in southwest Houston. An extremely difficult land financing market with a maturing mortgage created an opportunity for Fullerton to replace the existing mortgage with short-term first lien debt producing a favorable risk-adjusted yield. Through its extensive investment knowledge of the Houston MSA, Fullerton was able to underwrite the real estate collateral and provide a lending commitment in a dramatically compressed timeframe. Fullerton’s ability to focus on the primary repayment source – the quality of the underlying real estate – allowed it to provide financing during tumultuous market conditions. An improving Houston real estate market and the strength of the Property resulted in a shorter investment period as Fullerton received full repayment upon sale of the Property to a local real estate developer. Fullerton acquired this Class A underperforming two building suburban office complex strategically located within three miles of the US Marine Corps Base in Quantico, VA. Despite the attractive and relatively new construction, the Property has suffered from a lack of strategic direction and leasing expertise. Fullerton acquired the Property after years of ownership neglect and uncertainty which resulted in leasing difficulties. 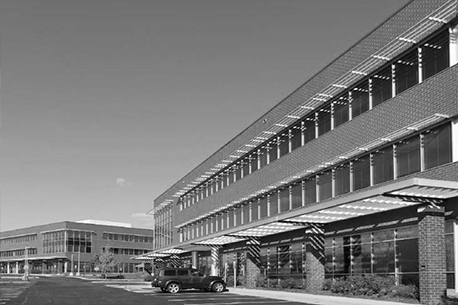 Fullerton was attracted to the building’s outstanding condition, configuration and proximity to both the Marine Corps base and vibrant Northern Virginia office market. Redwood Commercial Management and Mid-Atlantic Acquisitions have been retained to provide Fullerton with best in class professional management and leasing expertise, respectively. In a unique leasing market where speed in decision-making is critical, Fullerton’s lean and decisive management team will position it to see new deals entering the market. Further, the below-market acquisition basis and critical tenant improvement funding will allow Fullerton to capture new leases and create significant value. Given the proximity to the US Marine Corps Base in Quantico, the Property relies heavily on government defense contractors. Through Fullerton’s willingness to assume lease-up risk in an uncertain political climate, the favorable acquisition price and improved ownership will allow it to compete aggressively in capturing leasing market share.